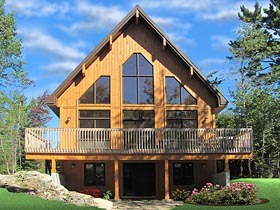 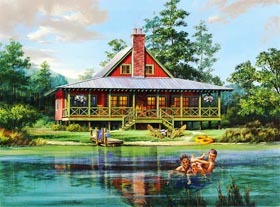 Because cabins are generally considered to be a recreational style home, they are most often purchased as a second home for weekend or vacation retreats. 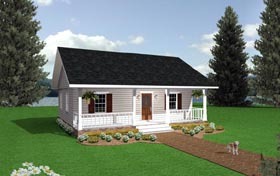 Cabin floor plans are generally small plans of less than 1,000 square feet. 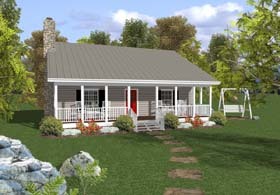 Although the “Cabin” is not specific to any one house style, it is typically a small, 4-corner, inexpensive home with one story. 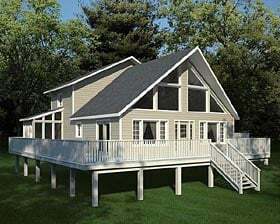 Occasionally, a cabin will have an upper level of at least a half floor that is used as a loft or storage space over the living quarters. 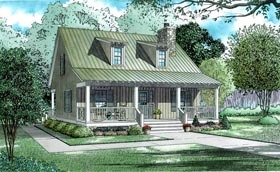 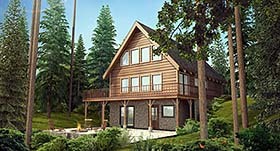 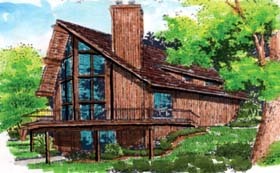 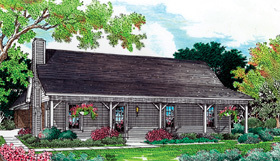 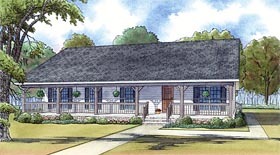 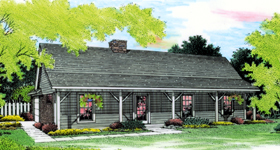 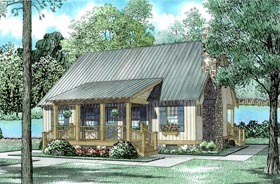 Cabin plans are noted for their inviting front porches, decks and screened rooms where friends and family can gather to enjoy the surrounding scenery. 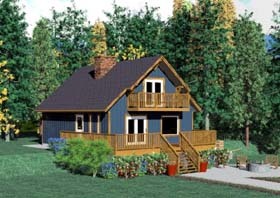 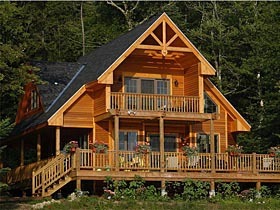 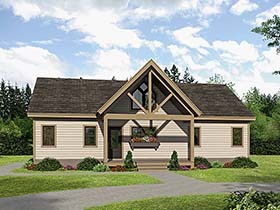 The most common applications for cabin house plans are lake front homes, rustic cabin retreats, hunting cabins, beach bungalow cabins, mountain cabin plans, or winter ski chalets. 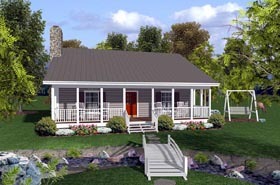 A cabin plan will rarely have a basement foundation option due to the terrain on which they are built.